BOISE, Idaho, Dec. 11, 2018 /PRNewswire/ -- Keeping patrons safe and free of distraction is a priority for venues hosting sporting events, concerts, and festivals. Black Sage, a defense technology integrator, offers a proven solution to detect and identify drone activity at large scale venues and events. 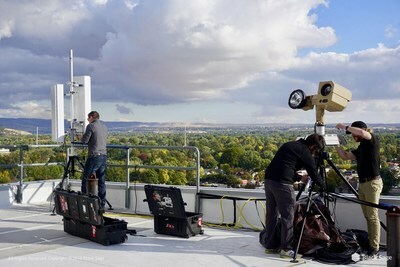 Over the past season, Black Sage provided its Counter-UAS detection and identification system for multiple NCAA football games in Boise, Idaho. The company aided local law enforcement and stadium security, as well as multiple three-letter agencies in providing the highest quality security possible. Stadiums and other open-air venues are particularly vulnerable to the growing risks posed by consumer drones. Federal law currently restricts the use of drones in the vicinity of major league and NCAA sporting events. UAS operations are prohibited within a three-mile radius of the stadium or venue from one hour prior to one hour after an event, known as a Temporary Flight Restriction (TFR). 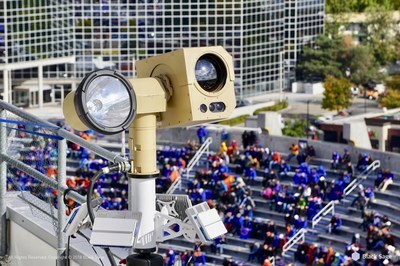 Stadium operators and law enforcement have few options to enforce the restrictions and are now turning to Black Sage to provide layered Counter-UAS systems to fill the security gap. Black Sage has more than three years of experience providing Counter-UAS services and will continue to provide support for events at this stadium as well as for other venues in the U.S and around the world. Black Sage is a privately held defense technology integrator founded in Boise, Idaho in 2014. The Black Sage Counter-UAS solution is currently being used by customers around the world. For additional information about Black Sage visit blacksagetech.com.